At first hindsight, there seems in general to be nothing wrong with following a solid reduce, re-use, recycle lifecycle strategy, right? And yet, when examined more closely, the “re-use” part of this lifecycle strategy might just be cultivating the mindset that in fact creates counterproductive measures to the lifecycle as a whole. Consider the following example: in the previous century, Ford created the industrialized car. He kinda reduced redundancies in the manufacturing processes and automated them a lot. He re-used repetive tasks where possible. I don’t know if he already did a lot on recycling. The result was highly industrialized products (cars) but he delivered only one taste: the standard. So he really didn’t renew a lot in his design. Because he re-used a lot. In his mindset, this was oke. And it was oke, but it was not a real sustainable strategy. It is exactly this type of mindset (re-use before re-new) that might have been a catalyst for many of our current crises. For example, if we keep on saying to each other that we should reduce our expenditures, then the chances to really renew will be reduced, real improvements will be postponed and at best we maintain the status quo of our crises by constantly executing this strategy. 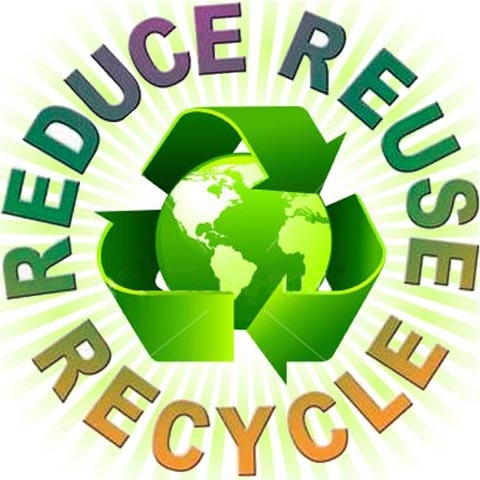 The next part in the cycle is reuse: if we keep on re-using the things in our society that we have already built (for example because we don’t want to spend on renewal or we are afraid to renew), than again, this strategy at best will maintain the status quo of our crises. And to close the loop: if we keep on cultivating this lifecycle strategy by never leaving the loop and going from recycle to reduce, we again at best maintain the status quo of our crises. So we need to break this circle somewhere. 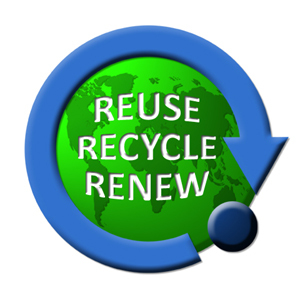 Instead of the traditional, fear-based Reduce-Reuse-Recycle loop, we should make it a Reuse-Recycle-Renew loop. Then we will have a chance to really get out of the negative spiral and transform it into a positive one. The new never-ending loop will toggle from reuse to renew to reuse to renew etc. And this strategy might just help society to transform to, who knows, a new Golden age. Happy new recycling! We all have come on this earth to have experiences. So what most of us probably will do most of the time is learning by experiencing. We need to have experiences because if someone explains something to us (for example parent, teacher or boss) chances are you still have to understand it yourself. Nobody can understand something for you. You have to do that all by yourself. And if we keep educating our people so they will have no misunderstanding, they also would have no experience. If there was no experience then everything would be fully predictable. And in a predictable system there is no free will. So there are certainly drawbacks in reusing what you have been thought and accepting that blindfoldedly. So now we come to the re-use part. We are being thought at home, at school, at work to re-use. Because others have already invented things. So there is no need to re-invent it. And that’s where things sometimes can go wrong. Because this re-use syndrome is all around society, it tends to copy things we know from the past (which might be a good thing). But it might also prevent us from thinking in radical renewal or fresh new ideas, which I think humanity is in desperate need for at this time in history. 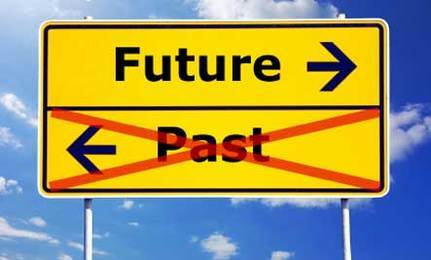 Therefore I vote for a renewal strategy where we stop looking back at the past most of the time, and start looking more to the future. And have no fear for radical renewals if they help humanity a step forwards.